It's part of Samsung's new line of accessories to help improve accessibility for users with disabilities. The three new accessories were designed specifically with the disabled community in mind, with research and in-depth interviews conducted to figure out how to best enhance user experience at an affordable price. Firstly, the Ultrasonic Cover allows users to navigate unfamiliar places by sending an alert through vibration or TTS feedback. The cover senses objects or people from up to two metres away, increasing a visually impaired user's awareness of their surroundings. 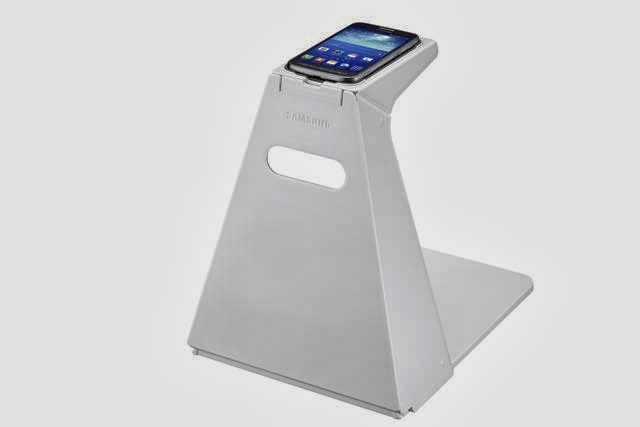 The Optical Scan Stand positions the Galaxy Core Advance to focus on printed materials, automatically activating the Optical Scan application, which can recognise and read aloud text from an image. Finally, the Voice Label assists users in distinguishing objects by allowing them to make notes and tag voice labels. "This feature can also help a user distinguish how to use electronics by allowing them to record a short explanation," the press release adds helpfully. The three accessories are sold separately from the Galaxy Core Advance device, and are already available to purchase. 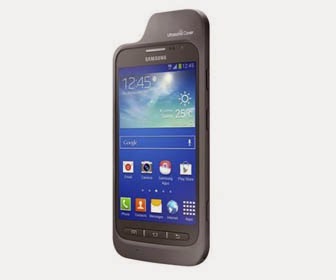 The Galaxy Core Advance was announced in December 2013, with the specific goal of extending Samsung's technology to a greater range of users. Samsung says it plans to expand accessibility of its other Galaxy devices in the future.